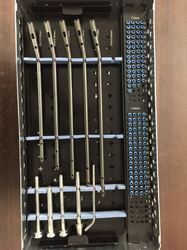 Offering you a complete choice of products which include cervical disc spacer, trauma & spine, expandeble jack cage ( advance ), spinal connector, anterior cervical plate with lock system and spinal hooks. 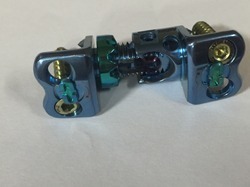 Our valued clients are presented with a wide range of Spinal Implants of unmatched quality such as Cervical Disc Spacer that is commonly used during cervical surgeries. These are manufactured by rigidly flowing international norms and manufactured by using the finest grades of metal alloys that are procured from authentic vendors of the domain. Our implants are widely used in leading hospitals by opinion leaders and are appreciated for their outstanding performance. 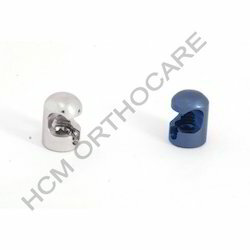 We follow stringent norms of quality and hygiene in accordance with global standards while manufacturing these implants. 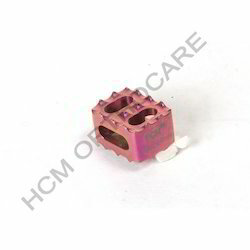 We are reckoned as reputed manufacturers, suppliers, and exporters of a broad assortment of premium quality Spinal Implants including Spinal Connector that is used while performing spinal implant surgeries. These are made by using the best grades of Titanium alloys and are subjected to rigorous quality checks that are in adherence with well defined standards of industry. We use cutting edge technologies to manufacture these implants in our state of the art manufacturing facilities. Our range of implants is appreciated by leading Surgeons and Orthopedics across the globe for immaculate performance. 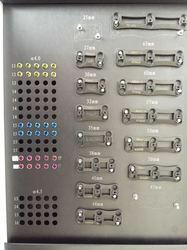 We offer these in various specifications at industry leading prices. We are presenting our esteemed clients a huge gamut of Spinal Implants such as Cervical Plate that is widely used during spine fixation procedures. These are made by using the highest grades of metal alloys such as Titanium and are designed in strict compliance with prescribed specifications. We manufacture these in our modern facilities by using high end technologies and maintain extremely stringent norms of quality that are in accordance with preset industry standards. Our implants are in huge demand from the leading orthopedic hospitals due to impeccable performance standards. These can be availed at reasonable prices by our valued clients. 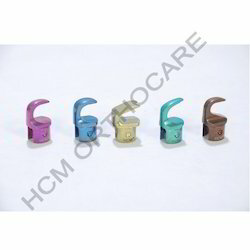 We are manufacturing Single Lock Spinal Hooks in our Plant both in Stainless Steel & Titanium material in good quality. Looking for Spinal Implants ?